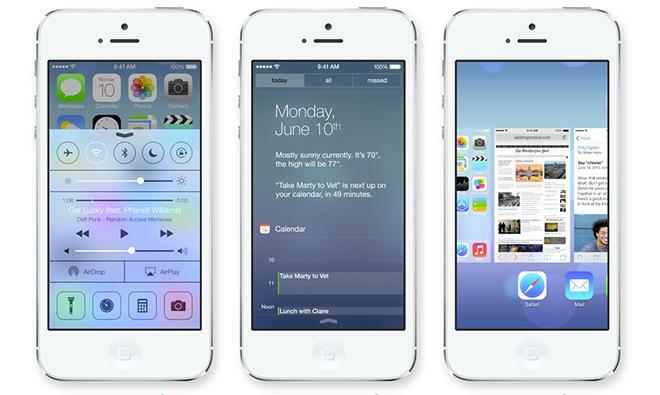 The newly released iOS 7.1 is identified as build 11D167. As first revealed by AppleInsider last month, the update is said to improve Touch ID fingerprint recognition for iPhone 5s users. iOS 7.1 also includes a new manual setting for Siri, allowing users to hold the home button on their device to have the system listen, and let go when they are done speaking, as opposed to having Siri automatically detect when a user has finished speaking. The update also allows users to subscribe to iTunes Match directly from their device, allowing for ad-free listening to iTunes Radio. Owners of the iPhone 4 should also see improved performance with iOS 7.1, while those who buy a compatible vehicle will be able to take advantage of CarPlay. Events can also be displayed in month view, iPhone 5s users can have the camera automatically enable HDR photos, and FaceTime call notifications are now synced across devices through iCloud. Pre-release versions of iOS 7 have been supplied to developers for testing since last November, making it a particularly lengthy beta period. 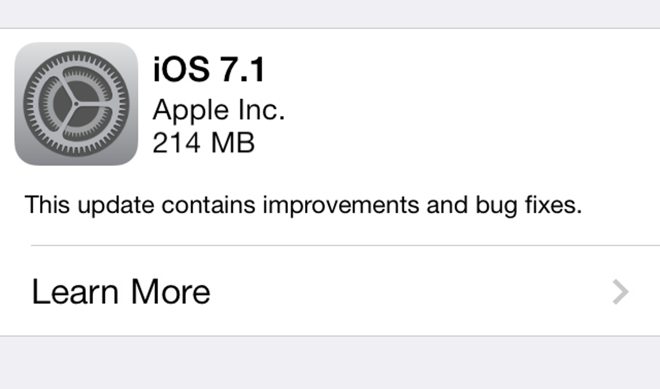 A mid-March release for iOS 7.1 has been expected for some time.